Come on down to 5th Street Bar & Grill to have a drink, hang out with friends and get creative! The CNSC is hosting a Paint Nite to raise funds that will help send your Camosun delegates to the Canadian Nursing Student Association’s National Conference this year. Please purchase a ticket to Paint Nite so that we can reach our fundraising goal of $400! Your $45 ticket will cover the cost of your painting supplies, and the instruction of the PaintNite artist, when all is said and done, you get to take home your beautiful work of art! All nursing students are welcome! The CNSC is holding a bake sale in the Patient Care Centre of Royal Jubilee Hospital. We are raising funds to send our CNSA delegates to the Western Regional and National Conferences this year. Volunteer to lend a hand, or come check it out and buy a delicious treat! We will be hosting a Naloxone Training, a Nursing Speed Dating event, and don’t forget to stop by our bake sale at Royal Jubilee Patient Care Centre on Tuesday, November 20! Check out our calendar for more details on events. Join us for “Toward the Heart” Naloxone Training offered by AIDS Vancouver Island. This event has filled up quickly in the past, so don’t forget to register early if you’re interested in participating! 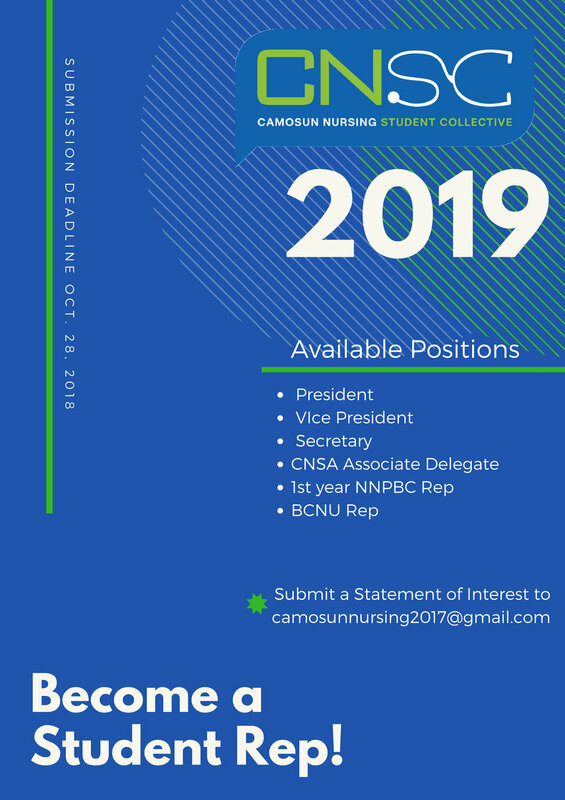 Apply to attend the annual CNA Board Meeting in Ottawa through the NNPBC! "Breaking Barriers: Exploring the future in rural and community nursing"
Coffee and muffins from the Good Earth Cafe will be provided. First CNSC meeting of the semester!